2. OEM Accepted: We can produce any your color and design. 3. Good Service: We treat clients as friend. 4. Good Quality: We have strict quality control system. 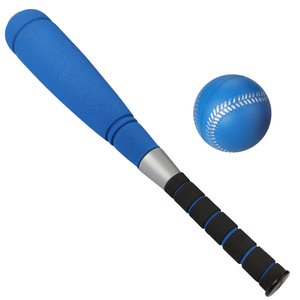 High-quality eva wood like baseball bat set for boys specifications Featured is a set of eva foam baseball set coming with one ball and base bat 1)Safe,healthy,intelligence 2) material: Foam 3) good toys for kids sporting 4) suit for children to play, children can exercise from playing. 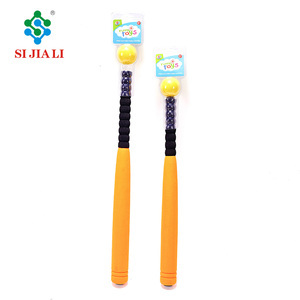 Xinyifeng is also one of the leading manufacturers specializing in the production of non-ammonia, odorless and eco-friendly EVA foams and toys and rubber products in China . 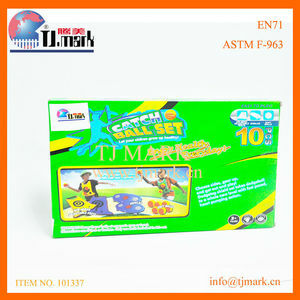 Our major products are EVA foam mat, EVA foam building blocks, EVA craft sheets, EVA fitness dumbbells, EVA bowling ball, golf ball, base ball, EVA aqua board, EVA hats and masks etc. 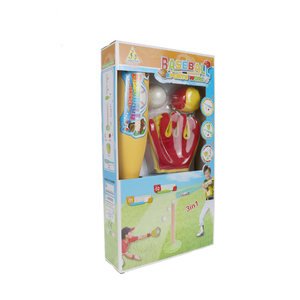 9 YRS Shantou City Jinbaishun Trading Co., Ltd.
inflatable cricket bat lounge and ball set for advertisement Fanrefond Toys is a professional OEM manufacturer of Inflatable Products made from PVC/TPU since 1998. We have got ISO9001:1998, GSV certificate, our material and product passed 6P, 16P and EN-71 test of SGS or ITS. 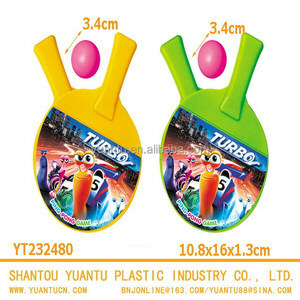 Our products include: &bull;Beach and water toys: swim rings, floating toys, floating mattress, pools, beach ball and so on &bull;All kinds of inflatable toys for Children and baby &bull;Inflatable travel goods: inflatable pillow, inflatable chair/sofa, air mattress, &bull;Inflatable Advertising and promotional items &bull;Inflatable Gifts &bull;Inflatable snow tubes, inflatable sledge Welcome to contact with us, we will provide products with best quality and reasonable price! 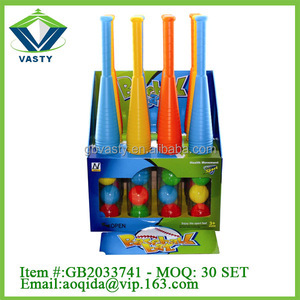 1 YRS Hangzhou Jieyun Imp And Exp Co., Ltd.
2 YRS Ningbo Jiaya Commodity Co., Ltd.
Alibaba.com offers 3,664 bat set products. About 9% of these are bedding set, 1% are dinnerware sets, and 1% are cake tools. A wide variety of bat set options are available to you, such as metal, bamboo, and 100% cotton. You can also choose from duvet cover set, comforter set. As well as from home, hotel, and souvenir. 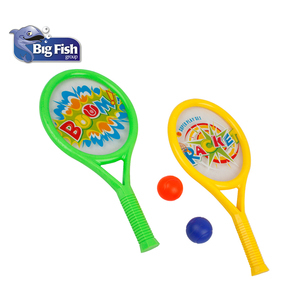 And whether bat set is fda, ce / eu, or sgs. 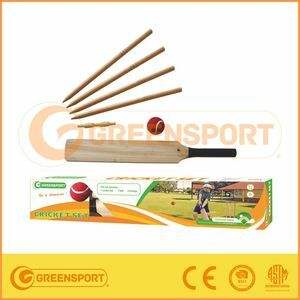 There are 3,664 bat set suppliers, mainly located in Asia. The top supplying country is China (Mainland), which supply 100% of bat set respectively. 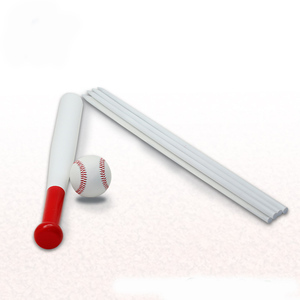 Bat set products are most popular in North America, Western Europe, and South America. You can ensure product safety by selecting from certified suppliers, including 360 with ISO9001, 201 with Other, and 136 with BSCI certification.